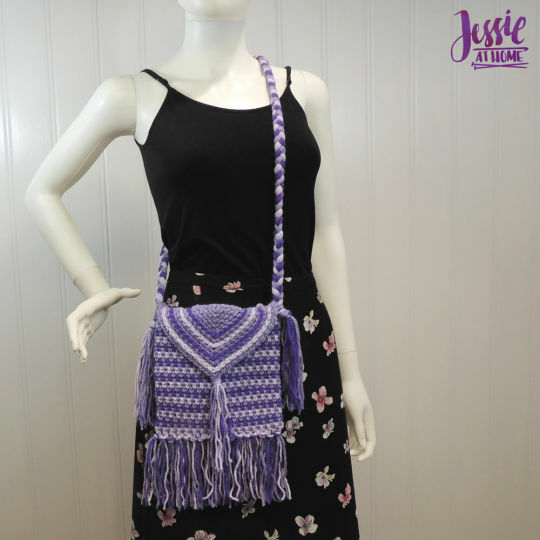 The Purple Passion Purse is part of the CAL Central Holiday Stashdown Crochet Along. The purse is made in linen or moss stitch and features surface crochet and lots of tassels and fringe. Show off your boho fashion in your favorite colors – why not make one for each outfit? The Purple Passion Purse will make a great holiday gift for some of the special girls and woman in your life!